Earlier this week, we posted this video from VaxNorthwest on our Facebook page. Not only is this family of five adorable, but they are offering a gift to the world by sharing their positive story of prevention. Most young mothers have never seen anyone affected by the diseases that vaccines protect our children against. We don’t see these diseases as often anymore because we vaccinate. What we do see is what happens when we don’t. And that’s precisely why Brian, the father of the three kiddos in this video, is proud to vaccinate his kids. He wants to give his children every advantage that he can. Stories are powerful, and peer-to-peer information sharing guides many of the decisions that parents make. We could share hard data with you for weeks straight about the benefit and safety of vaccines, but for many, stories matter just as much, if not more. Share your stories, and share them often. Proudly post a #flushotselfie on social media or mention to your friends that your teenager has finished all three doses of the HPV vaccine. Tell your mom’s group how great it feels to have your baby on the recommended vaccine schedule. Be proud that you vaccinate, because you’re giving your baby the best advantage for a healthy life. Have you heard these “toxic” vaccine myths? This post originally appeared on HealthMap’s Disease Daily on August 4, 2014. It has been reposted here with permission from the authors. Do you know you what makes a toxin a toxin? It’s not scary sounding names, news headlines, or anecdotes. What makes a toxin a toxin is good old-fashioned biochemistry. The human body can be disrupted — or bolstered — by the same compound at different doses. Quantity and context count. Even so, complicated chemical names have become synonymous with all things artificial, unnatural or unhealthy. But dihydrogen monoxide, after all, is just water (H2O). When people claim that vaccines contain “toxins,” they are often referring to these three vaccine ingredients: mercury-containing thimerosal, aluminum and formaldehyde. But these ingredients are not as toxic as you might think. Here’s why. Yes, there’s mercury in vaccines, but not the kind you’re thinking of. Fun fact: there are actually multiple types of mercury compounds. One (methylmercury) is the kind found in tuna and has been shown to have devastating effects on the brain after it accumulates in the human body. A second (ethylmercury) is found in a preservative known as thimerosal, which has been used to protect vaccines from getting contaminated. The latter is processed more quickly by the body and requires much larger doses to cause harm. The difference between methylmercury and ethylmercury is a lot like the difference between a shot of alcohol and a shot of antifreeze — one can make you blind drunk, the other will make you blind. Chemistry matters. To the human body, “methyl” and “ethyl” are very, very different. Ethylmercury-containing thimerosal has a very long track record of safely and effectively preventing fungal or bacterial contamination of vaccines. The ingredient was removed preemptively from all routinely used childhood vaccines in 2001, but it needn’t have been. Studies have shown that thimerosal-containing vaccines are safe, with no ill effect beyond the standard pain or redness at the injection site. There’s 10 times more aluminum in baby formula than in vaccines. What’s ironic about occasional opposition to aluminum from the “green our vaccines” movement is that aluminium is the third most abundant element on the planet. It’s in food, water, air, herbs, pancake mixes, baby formula — even breast milk. It’s hard to imagine a more natural substance. Exclusively breast-fed babies ingest over twice as much aluminum in the first six months of life as the sum of all routinely recommended vaccines combined. The science is conclusive: vaccines do not have any measurable effect on the amount of aluminum in the bloodstream of babies. Aluminum salts have been used in vaccines since the late 1930s — that’s more than 70 years of accumulated safety data. We have a longer history of safety data on aluminum salts than we do on Tylenol™. We use aluminum salts in vaccines because they help stimulate the immune system. They make vaccines more effective so that we can reduce not only the number of antigens, but also the number of doses you need to be protected. That means fewer shots. Our bodies naturally produce formaldehyde. You might think of formaldehyde as that smelly chemical that preserved the frog in your 10th grade biology class. But your body actually makes it. It’s an essential component in the synthesis of DNA and creation of proteins. In fact, a healthy baby already has 10 times more natural formaldehyde in their system than any one vaccine dose contains. Your body is making it right now. It can be introduced into the body through the air we breathe or the food we eat. The reason we use formaldehyde in the vaccine development process is to deactivate or kill pathogens (the agents that cause disease). While extremely large quantities of formaldehyde can be hazardous, most of the formaldehyde used in the vaccine development process is removed well before the patient gets the vaccine. 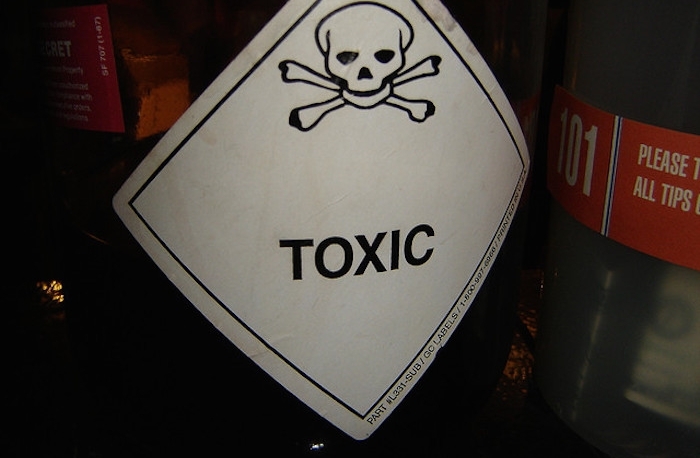 The trace amounts of formaldehyde that remain are quickly broken down by the body’s defenses. The bottom line is that vaccines and all their ingredients have been well-tested and established to be very safe. Don’t let the myths around toxins or vaccine ingredients scare you. Jane manages the Vaccine Finder project at Health Map, the host site of the Disease Daily. Robyn is a contributing writer for the Disease Daily and works as a project manager for a non-profit focused on vaccine education. Both are fully up-to-date on their immunizations.